Recall that at the just-concluded summit between President Donald Trump and German Chancellor Angela Merkel, Trump urged Merkel to increase Germany’s defense spending. Recall further Secretary of State Mike Pompeo’s subsequent meeting with NATO bigwigs in which he urged NATO members generally to increase their defense spending. 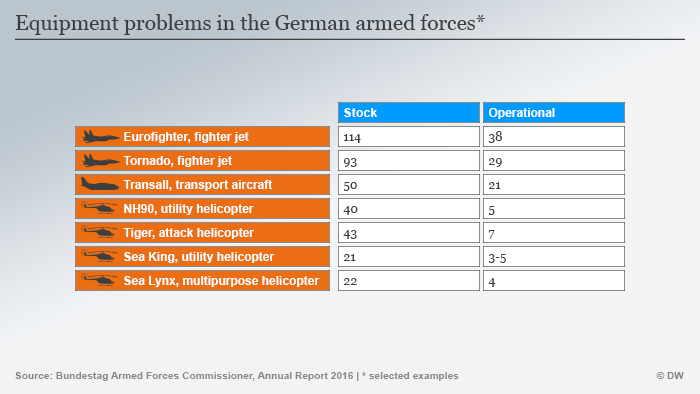 This table illustrates why Germany really needs to plus up its defense spending. In February, the newspaper Rheinische Post cited an internal Bundeswehr paper stating that the army lacked the necessary basic equipment for its deployment in a NATO rapid reaction force. Basic equipment: really basic, like tents for winter shelter, winter clothing, even combat basics like protective vests. Germany’s Defense Minister has said she wants €12 billion ($14.6 billion) more than currently allocated to begin to bring the nation’s military establishment to a higher state of capability. That’s barely a third of one per cent of Germany’s €3.4 trillion ($4.2 trillion) GDP. I have to ask: is Germany serious about its own defense? Or does it really intend to continue to freeload off other NATO members—not only the US? This entry was posted in defense policy, Economics, foreign policy, political economy, politics and tagged defense policy, economics, foreign policy, political economy, politics by eehines. Bookmark the permalink.